South Canyon Lutheran's youth group meets every Wednesday night during the school year as a part of our Church On Wednesday programming. 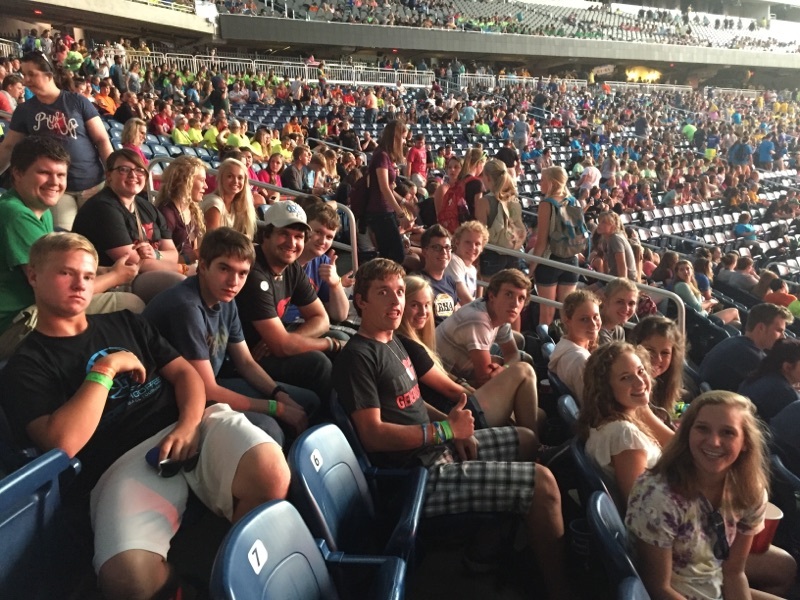 At 6:30 p.m. the 9th-12th graders gather for relational ministry to grow in their faith. Youth group time features lessons, service projects, games, and small group time. We also have a bible study twice a month on Sunday nights, geared towards the upperclassmen where we study and dissect the bible in more depth. In addition to the usual Wednesday night programming, South Canyon Lutheran plans monthly activities to create fellowship opportunities for high school students. 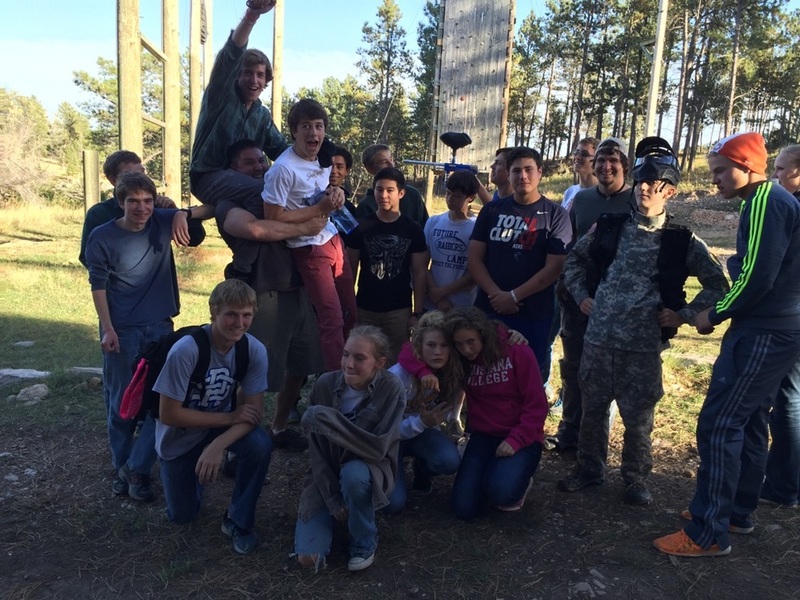 This can be anything from paintball to lock-ins to night hikes at Black Elk Peak. There are many trips available to students at South Canyon Lutheran. 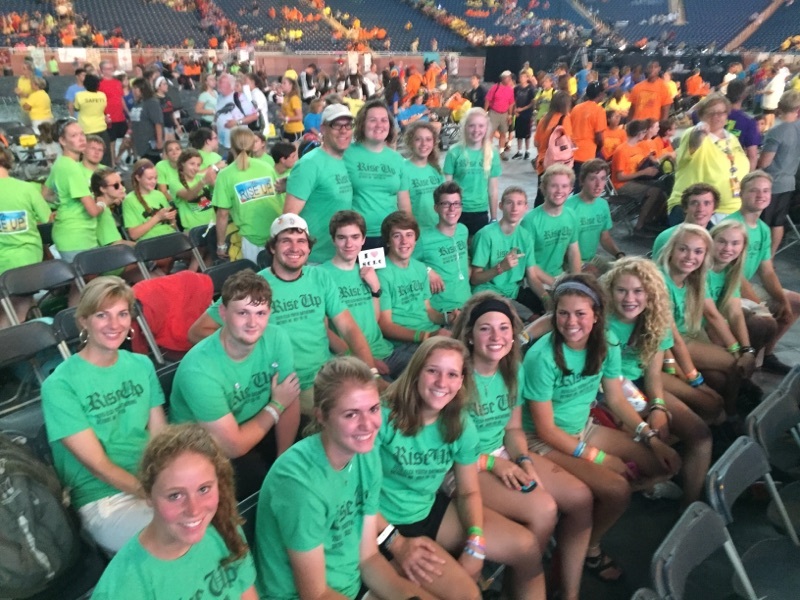 Our summer trips are on a 3 year rotation, alternating between attending the ELCA Youth Gathering, a Mission Trip, and an Adventure Trip. 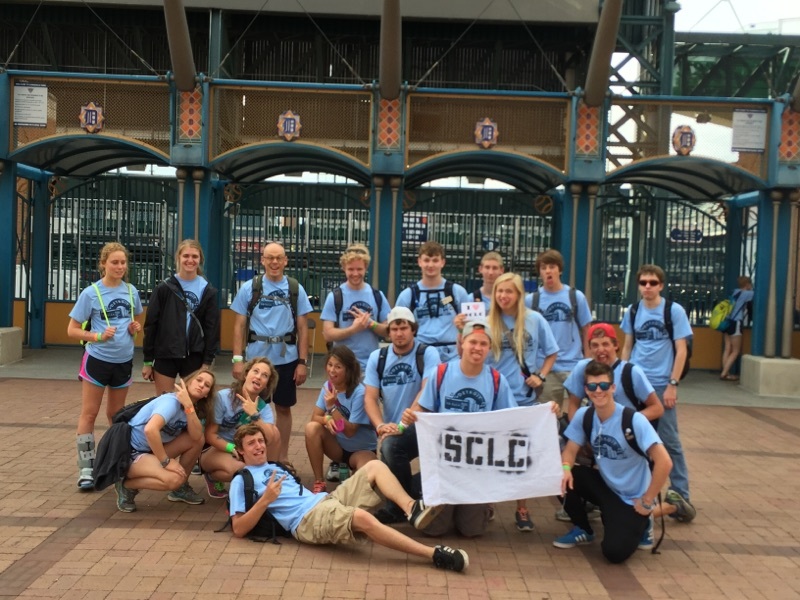 There are also additional trips that we take with our high school students, including but not limited to, a ski/snowboarding trip to Big Sky, MT, a college tour road trip through the Upper Midwest, and music festivals around the area. Fundraising is a big part of the trips, allowing the students to have fellowship together while raising funds to help aid them in paying for their summer trips. Some of our biggest fundraisers are the Harvest of Crafts Bazaar every fall, chicken sales every spring, and putting on the Palm Sunday Pancake Breakfast. Once a month we offer a free lunch for the youth in the community. This has become affectionately known as Free Lunch Friday and is generally the second Friday of the month in our Fellowship Hall. The majority of the students fed walk across the parking lot from Stevens High School, but all are welcome! We'd love for you to be a part of our youth ministry at South Canyon Lutheran. If you have any questions or would like more information contact the church office at 343-4887. Nothing brings high schoolers together like the opportunity to splatter each other with balistic balls of paint. Games like SPUD can be a great way to get kids to open up and build connections with each other that can't happen in a classroom setting. We took the last weekend of the students' summer freedom to do a night hike to Harney Peak. The view was breathtaking. 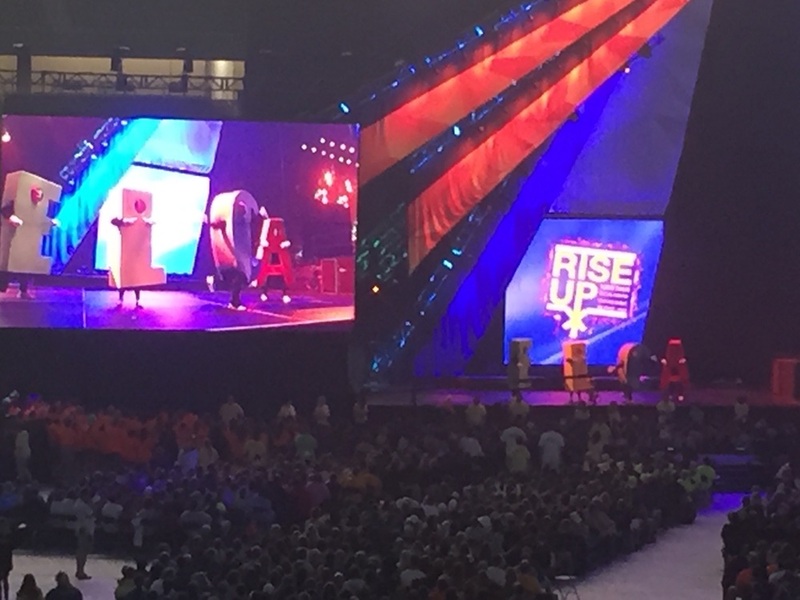 In the summer of 2016 we went to the ELCA Youth Gathering in Detroit, MI.